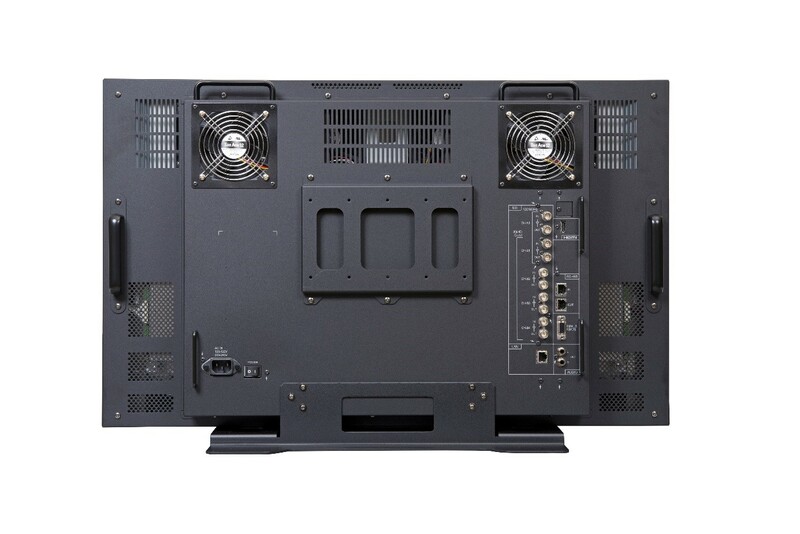 The HQLM-3125X employs an LED-backlight 4,096×2,160 pixel 10-bit resolution UHD LCD panel with a contrast ratio of 1,000,000:1. Single-channel 3G-SDI×5, 3G/HD-SDI and HDMI inputs are available as standard features. When it comes to 3G-SDI×4, square-division and two-sample interleave are available. 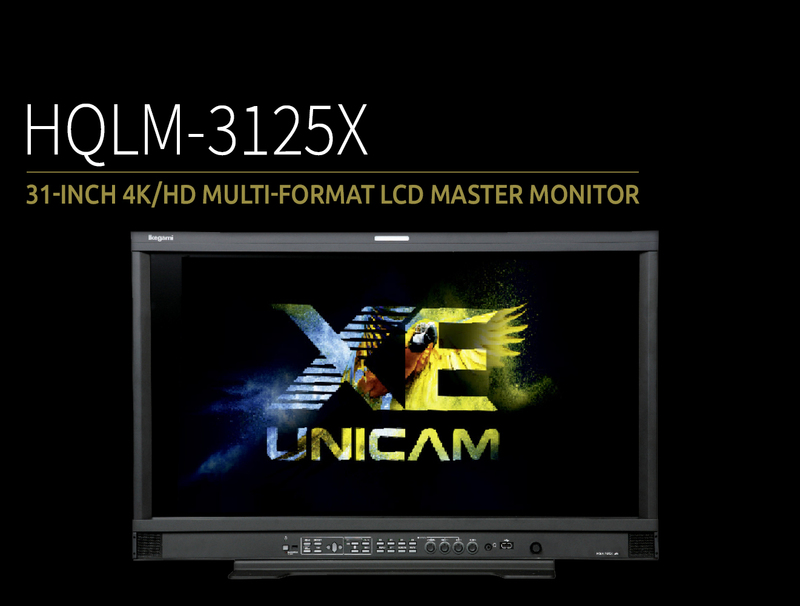 For other 4K equipment, a dual-channel 12G-SDI input is also available. A wide critical viewing angle of 178°(horizontal/vertical) allows users to see accurately displayed images from any angle. HQLM-3125X can also display test signals such as video waveform and display vertical interval time code. Additional broadcast related functions include an 8-channel embedded audio and closed caption displays. It employs a 31.1-inch 4096x2160 pixel UHD LCD panel with a contrast ratio of 1,000,000:1 (1,000cd/M2) using LED backlight. The monitor has a wide viewing angle allowing critical content evaluation within a horizontal or vertical viewing angle of up to 178 degrees. Audio output is available through internal stereo speakers, stereo headphone jack and stereo l ine out by automatic identification of embedded audio signals multiplexed into the SDI or HDMI signal . An embedded audio level meter can be displayed on screen as standard. *Note: The output can be selected from a pair channels or a 5.1 channel down mix.